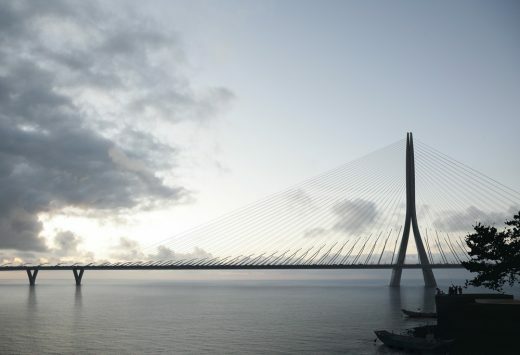 Construction has begun on the world’s longest single-mast, asymmetric cable-stayed bridge, 920m long. The late Zaha Hadid’s business partner claims he was forced to agree to drop the architecture practice’s name – and alleges animosity clouded fellow executors’ judgment, reports Building Design. 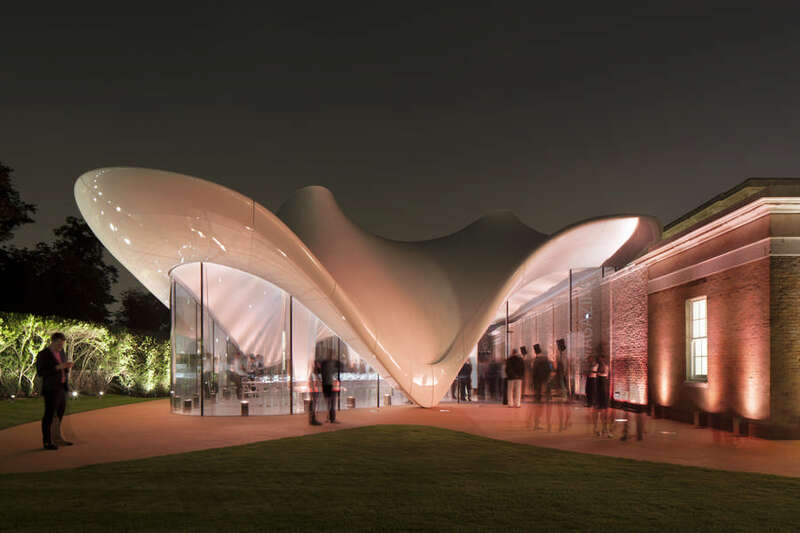 They reveal an extraordinary tussle for control of Zaha Hadid Architects – with Schumacher forced to agree to drop the founder’s name from the world-famous practice. 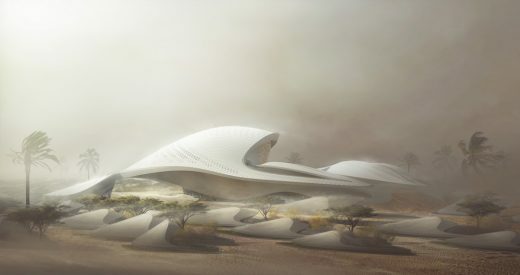 He also claims he was forced to agree payments totalling £7.75m by the design practice (referred to as Zaha Hadid Ltd or ZHL) to a holding company controlled by the other three executors and their appointees, in a move Schumacher claims would reduce “ZHL’s ability to continue as a going concern”. Zaha Hadid Architects and A_Lab win the architectural competition to design the Fornbuporten and Fornebu Senter stations, two of the six stations planned for the new Fornebubanen metro line. The architects partnership has been selected as one of the consortiums to build the new Rublyovo-Arkhangelskoye neighbourhood. 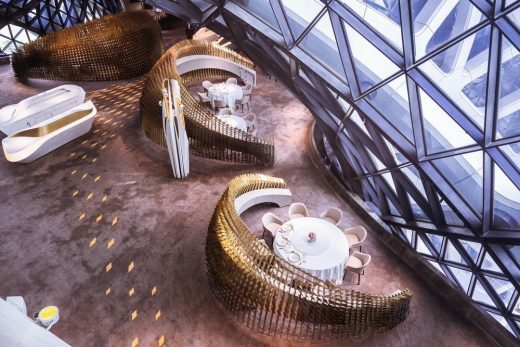 The Morpheus Hotel designed by Zaha Hadid Architects is the new flagship hotel for the City of Dreams development in Macau. The $1 Billion development is characterized by a distinctive exoskeleton and uninterrupted internal spaces. Zaha Hadid Architects has unveiled plans to turn a derelict tower in the Maltese coastal town of Paceville into new apartments and a boutique hotel. The pavilion’s structure reinterprets the distinctive motif that wraps around the corner of all Il Makiage’s packaging. Generali Tower is within the CityLife masterplan that has redeveloped Milan’s abandoned trade fair grounds following the fair’s relocation to Rho Pero in 2005. 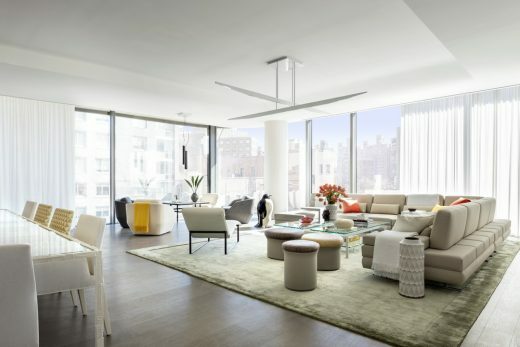 Related Companies has unveiled the completed amenity spaces at the highly acclaimed 520 West 28th residential building in New York’s west Chelsea neighbourhood. Developed with environmental considerations integrated throughout the masterplan to minimise the consumption of resources, the proposal conceptualises the moment a water droplet strikes the earth’s surface, captured in an array of elliptical buildings designed to channel prevailing winds into civic spaces and courtyards to facilitate cooling during the summer months. Construction works start on this building commissioned in 2015 by Nemesis Capital. The tower is within Santa Fe, an important business district in the west of Mexico City with a rapidly growing community that includes 3 universities and the regional offices of Microsoft, Apple, Sony, Roche and Amazon. 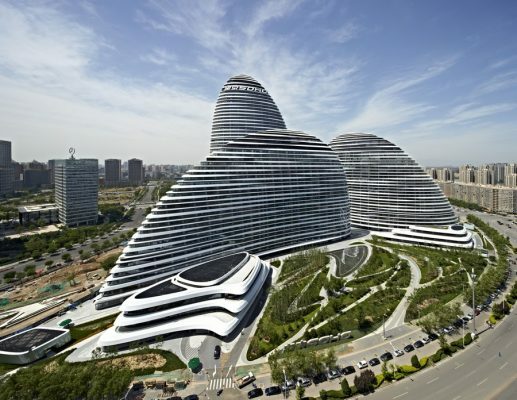 ZHA has formed an alliance with Arcplus (China) and Wilson Associates (USA) to offer ‘next-generation design’ to clients. 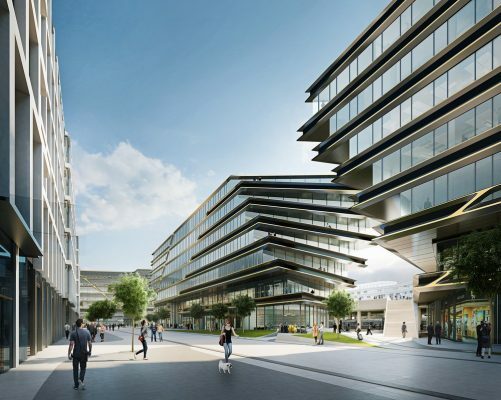 The three firms will collaborate on research initiatives plus work together to create a single port of call for interior and exterior design and engineering. 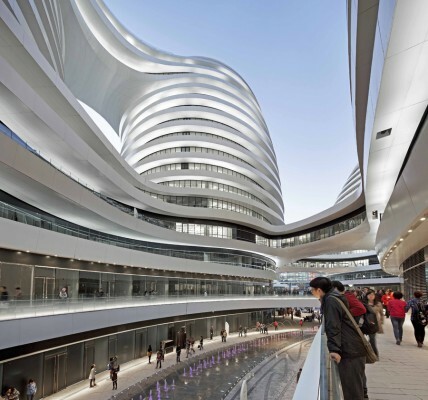 Arcplus is China’s largest design group, covering civic, transport and corporate architecture. Wilson Associates is a worldwide leader in hospitality design. Zaha Hadid Architects said: ‘We see this alliance as a continuation of global best practice, pioneering research and innovation, where each of the three firms’ individual strengths will deliver the most ambitious projects. With an excellent track record of more than 30,000 architecture design and engineering consulting projects, Arcplus has expanded its portfolio to provinces and cities across China and more than 20 countries and regions worldwide. Arcplus have more than 10 subsidiary firms and studios, such as East China Architectural Design & Research Institute (Building by shl and ECADI), but they also list Wilson Associates LLC. For more than 45 years, Wilson Associates’ dynamic talent and collaborative spirit have inspired and created some of the world’s most iconic, avant-garde spaces, among them the Conrad Koh Samui; The Venetian Las Vegas; Dorado Beach, a Ritz-Carlton Reserve; and the Armani Hotel Dubai. Wilson has a strong international footprint, with more than 300 team members spanning six continents and design hubs in seven cities: Dallas, Dubai, Los Angeles, New York City, Paris, Shanghai, and Singapore. ZHA collaborated with leading digital artists and computer science researchers Andy Lomas and Mubbasir Kapadia, together with musician Max Cooper to create the ‘Behaviour Morphe’ light mapping projection for the 2017 Schlosslichtspiele Festival. 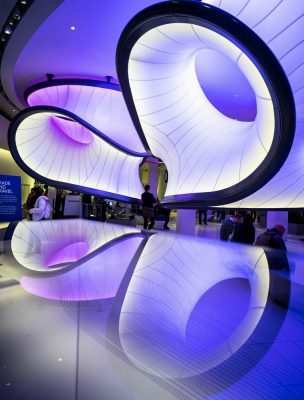 A million visitors have explored Mathematics: The Winton Gallery at London’s Science Museum since opened in December 2016. The gallery highlights the central role of mathematical practice in all our lives. 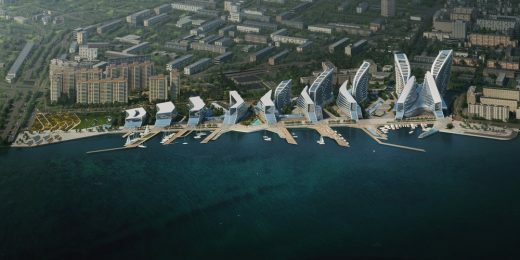 The Port of Tallinn launched the competition for ideas for the development plans of Masterplan 2030 for the Old City Harbour in 2016. 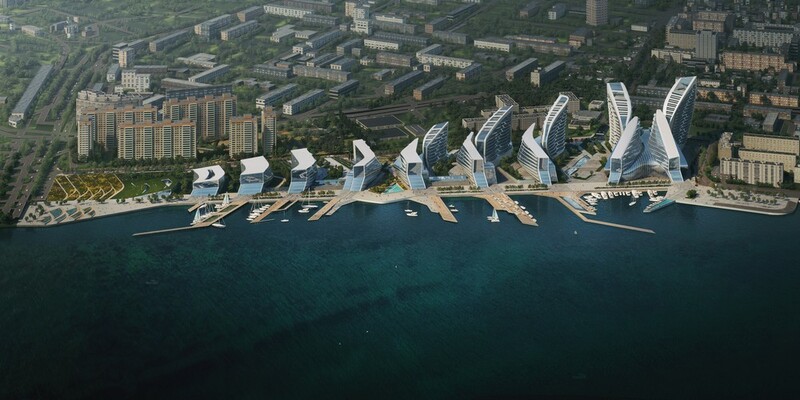 With the aim of finding a comprehensive, long-term solution to connect the city and its public spaces with the functions of the port, Masterplan 2030 will form the basis for the redevelopment in the port area into an urban space that is both attractive and easy to traverse. 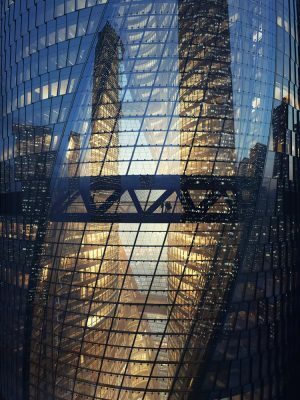 Once the 46-story Leeza SOHO structure reaches its final height of 207 meters (679 feet) in September, it will contain the world’s tallest atrium — an impressive 190m high space. ZHA collaborates with digital artists and computer science researchers Andy Lomas and Mubbasir Kapadia, together with the musician Max Cooper to create a mapping projection for the 2017 Schlosslichtspiele Festival titled ‘Behaviour Morphe’. The Schlosslichtspiele Festival in Karlsruhe presents a programme of spectacular light mapping projections on the 170m façade of the city’s Baroque castle building. 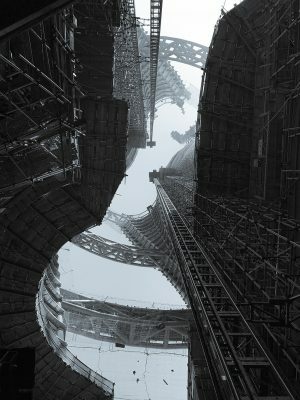 Construction news update for Leeza SOHO in Beijing, ZHA’s most recent collaboration with SOHO China: the building will top-out at 207m in September. 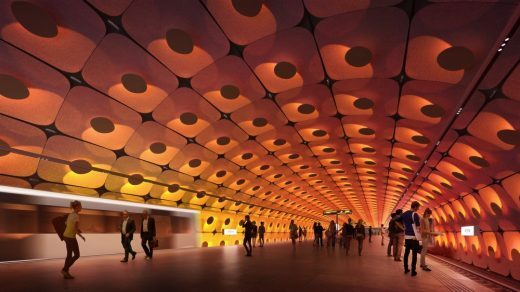 The 172,800m² building design straddles the new subway tunnel that diagonally divides the site. The tower rises as a single volume divided into two halves on either side of the tunnel. A central atrium – the world’s tallest – extends 190m through full height of the building and connects with the metro station below, creating a new public space for the city. The World Architecture Community Awards recognise remarkable projects that inspire exciting questions about contemporary architecture. 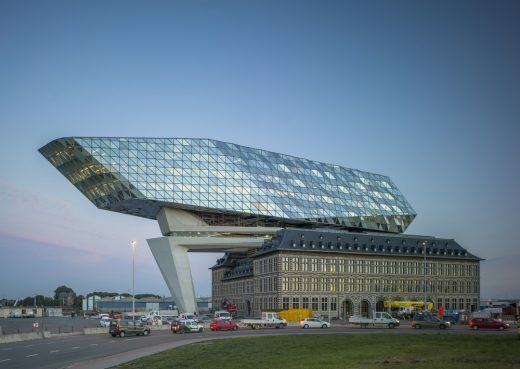 This Belgian building wins World Architecture Community Award and shortlisted for ‘World Building of the Year’. 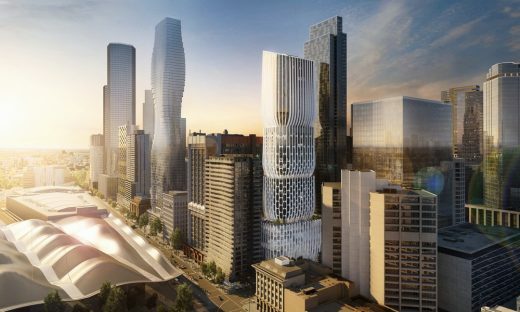 The hotel and residences will be located on Collins Street, in the mixed-use 185-metre tower designed by Zaha Hadid, and will play a part in the ongoing regeneration of the city’s Central Business District. Located in the heart of Melbourne’s financial and legal district, the project is close to the Docklands and the Southbank tourist and entertainment precinct. “Today’s Doodle honors architect Zaha Hadid, who captured the world’s attention and shattered glass ceilings (in addition to designing some) by becoming the first woman to win the Pritzker Architecture Prize on this day in 2004. She was also the first woman awarded the Royal Gold Medal by the Royal Institute of British Architects. 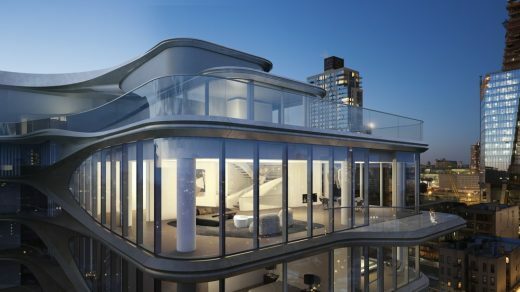 Related Companies announce official first look inside the residences of Pritzker Prize-winning architect Zaha Hadid’s 520 West 28th, which was designed inside and out by the revered architect, as well as the unveiling of the building’s first finished residences. The completion of these mark the true first interior look into the quintessential 21st century dwelling. 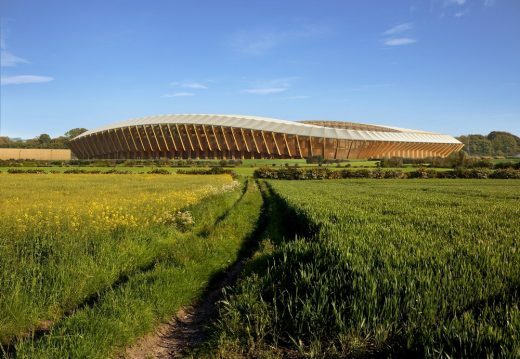 Ecotricity has revealed two concept designs by Zaha Hadid Architects for the Green Technology Hub at Eco Park, alongside unveiling a new ‘Gateway to Stroud’ at a business breakfast this morning. Wangjing SOHO is located in northeast Beijing between Fourth and Fifth Ring Roads. The site is near the Airport Expressway approximately halfway between Beijing’s Capital Airport and the centre of the city. 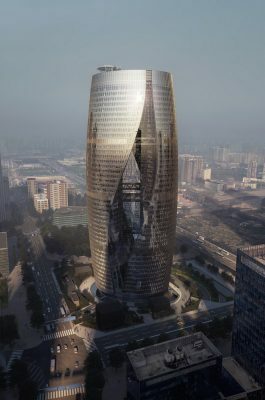 Within the Lize Financial Business District this dynamic new building by ZHA is located at the intersection of Lines 14 and 16 currently under-construction for the Beijing Subway rail network. Directly above the new interchange station for the financial district, Leeza Soho connects with the city’s bus network to the north and east. 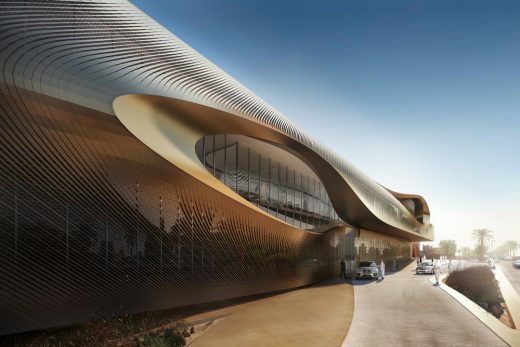 Zaha Hadid Architects (ZHA) opened a new office in Sharjah, UAE, while Foster + Partners is expected to open its base in the emirate in January. Zaha Hadid leaves £67m fortune in her will. The celebrated British-Iraqi architect who died suddenly last March left £1.7m to relatives and £500,000 to business partner, reports The Guardian. The designer bequeathed a lump sum of £500,000 to her business partner Patrik Schumacher. Hadid also left a total of £1.7m to four nieces and nephews, as well as her brother Haytham Hadid, whose share was £500,000. The architect, who was made a dame in 2012, was unmarried with no children and left her international design businesses, which account for the bulk of her wealth, in trust. 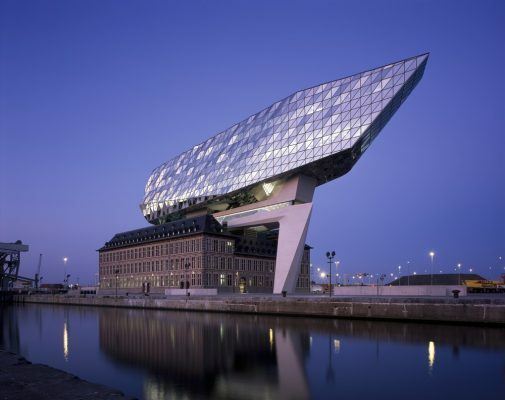 In the year to the end of April 2015, Zaha Hadid Ltd had a turnover of £48m and employed 372 people. Executors of her will are Patrik Schumacher, Peter Palumbo, the property developer, Brian Clarke, the artist, and Rana Hadid, the architect’s niece. 25 Nov 2016 – Abolish social housing, scrap prescriptive planning regulations and usher in the wholesale privatisation of our streets, squares and parks, report The Guardian. That was the message delivered by Patrik Schumacher, director of Zaha Hadid Architects, to a stunned audience of architects and developers at the World Architecture Festival in Berlin, provoking a flood of impassioned responses online – with both opponents and supporters declaring him to be “the Trump of architecture”. The late Hadid’s work might have long been a source of astonishment, for its sci-fi forms and gravity-defying structural feats, but now she’s gone, her practice is prompting incredulity for a very different reason. The queen of the curve has been supplanted by the king of free-market libertarianism. And the 55-year-old German architec is not holding back. His uncompromising position on social housing estates provoked particularly audible disgust. “When socially renting tenants are asked to move and offered a new place somewhere else, they are given these new houses for free,” he thundered. “What a tragedy for them.” He even suggested building over Hyde Park. 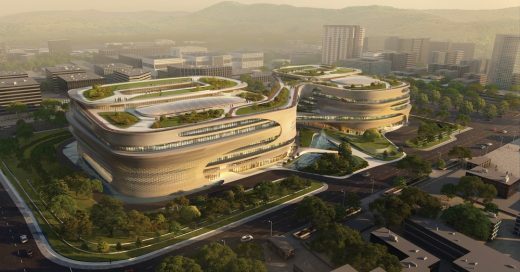 The 167,000 sqm Guangzhou Infinitus Plaza will be a campus of integrated buildings that combine intelligent technologies and environmental sustainability, comprising key facilities for the group including a new global center for R&D a Chinese herbal medicine research and safety assessment center; as well as an exhibition center and gallery. coming soon…opening mid November, more details online soon. 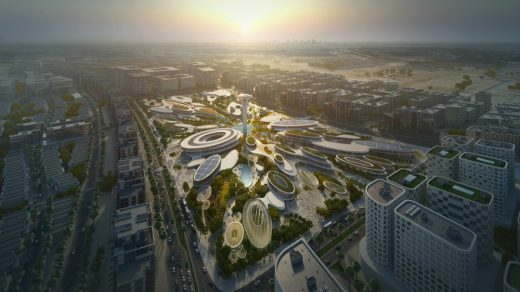 With 30 years’ experience in the Middle East and North Africa, Zaha Hadid Architects (ZHA) is collaborating with visionary clients throughout the region on 16 transformational projects. ZHA’s new office within the Dubai Design District continues our longstanding commitment to the region. 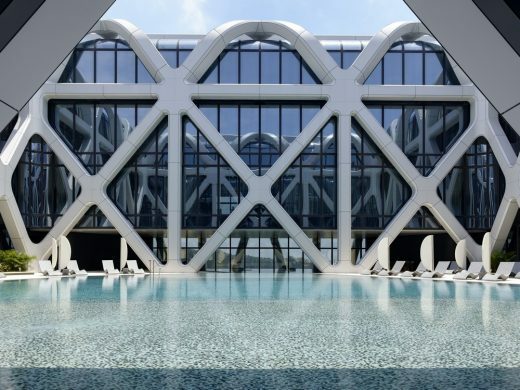 A recipient of the 2016 Aga Khan Award for Architecture, ZHA marries concepts of connectivity with the tremendous advancements in design technologies, material development and construction practices. 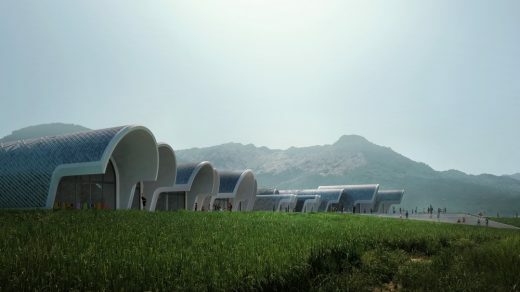 ZHA is working with the many diverse histories and cultures of the region to address important issues in a meaningful way – contributing to the development of more ecologically sustainable and integrated built environments. Opening on 7 November, 2016 ZHA’s office in Dubai has been established in response to the solid growth in demand from new and existing clients across the region; providing even greater levels of assistance, coordination and communication with our increasing client base throughout the Middle East. 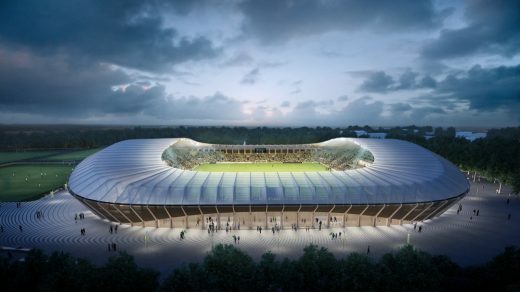 Following a seven-month international competition, Forest Green Rovers has selected Zaha Hadid Architects to design its new 5,000 seater football stadium. 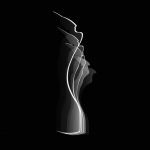 The BRIT Awards 2017 with Mastercard today confirm that the 2017 statue was designed by Zaha Hadid. 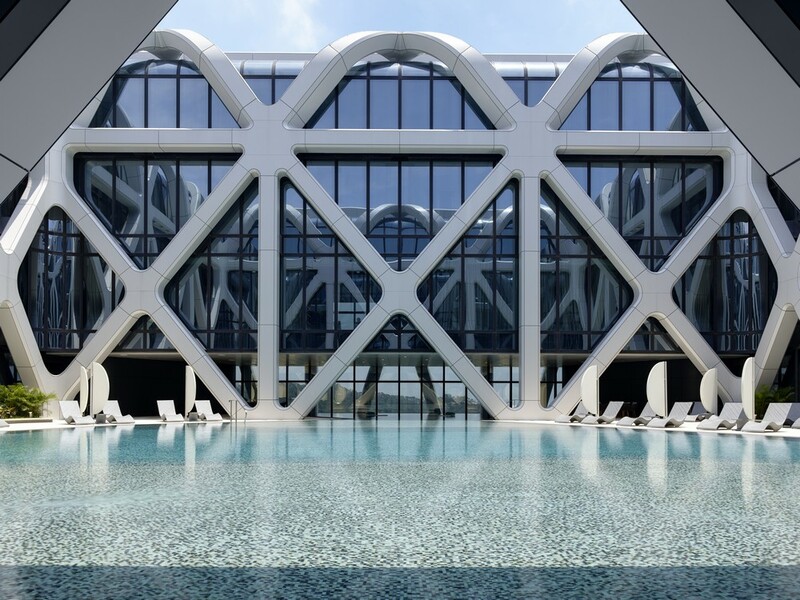 With a career spanning four decades, Hadid redefined design in the 21st century with her ground-breaking vision. Like music, her work celebrated the creative richness and diversity of culture. 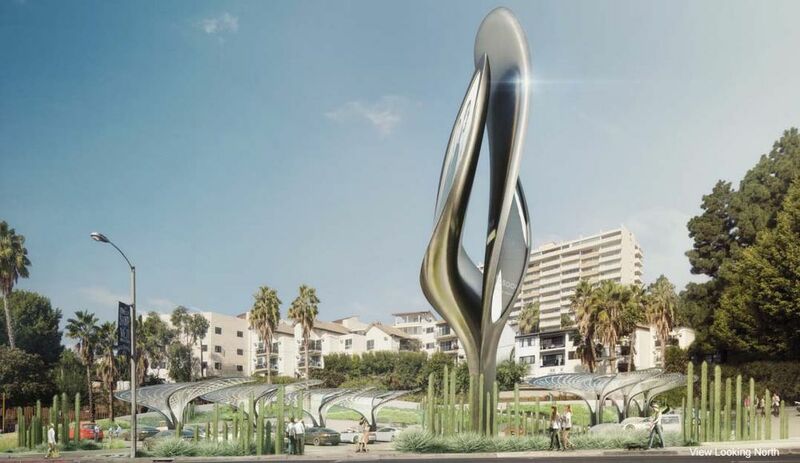 The 2017 statue both honours and adds to Hadid’s remarkable legacy. The 2017 BRIT Award winners will be rewarded with her unique creativity. In March this year Zaha Hadid passed away suddenly in Miami after suffering a heart attack. 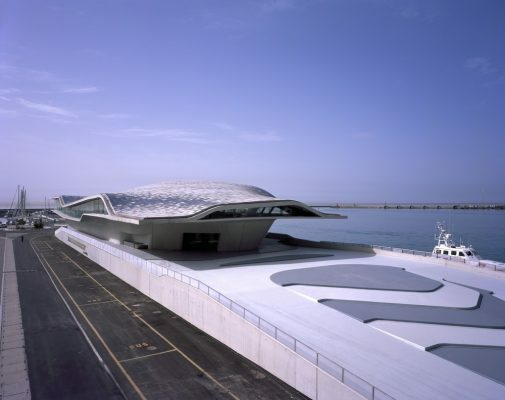 Hadid, widely regarded as one of the worlds greatest architects, inspired people with her powerful creations. A visionary with an incredible imagination, she was no stranger to awards herself. Her work saw her pick up some of the most prestigious design awards in the world. 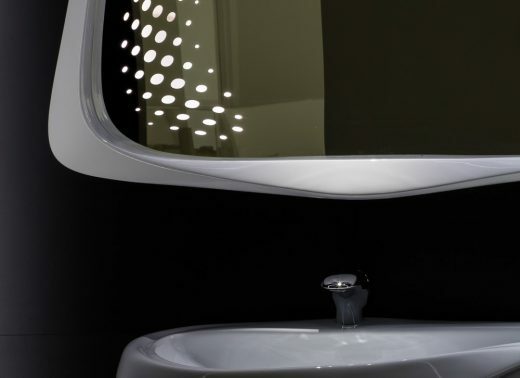 The BRIT design project has been led by Maha Kutay, Director at Zaha Hadid Design, and Niamh Byrne (on behalf of The BRIT Awards), since Hadid personally accepted and commenced on the brief in January of this year. BRITs Chairman Jason Iley initially reached out to Hadid at the start of the year and received an instant positive answer. Iley wanted to create something modern and culturally relevant for The BRITs and Hadid was the perfect choice. Iley then met Hadid in February at her party celebrating the winning of the 2016 Royal Gold Medal For Architecture, presented by the Royal Institute of British Architecture in recognition of a lifetimes work (approved personally by Her Majesty The Queen, Hadid was the first female recipient of this accolade). The BRIT Awards 2017 with Mastercard will be broadcast live on ITV – Wednesday 22nd February from London’s O2 Arena. Built on the site of a Soviet munitions factory, the Heydar Aliyev Centre’s fluid architecture embodies an enlightened philosophical framework. The Jockey Club Innovation Tower (JCIT) is home to the Hong Kong Polytechnic University’s School of Design, and the Jockey Club Design Institute for Social Innovation. ZHA wins first prize in the competition for the 8,780m² head office of the Heritage Museum. The centre is integral to the on-going works to preserve Diriyah’s historic UNESCO world heritage listed site, continuing the restoration programmes throughout the 120km Wadi Hanifah valley that also includes the re-establishment of its natural environments. Vitae appears as an integral bathroom collection meant to arise as the new bathroom design. Noken and Zaha Hadid Design have come to a revolutionary notion for the bathroom. 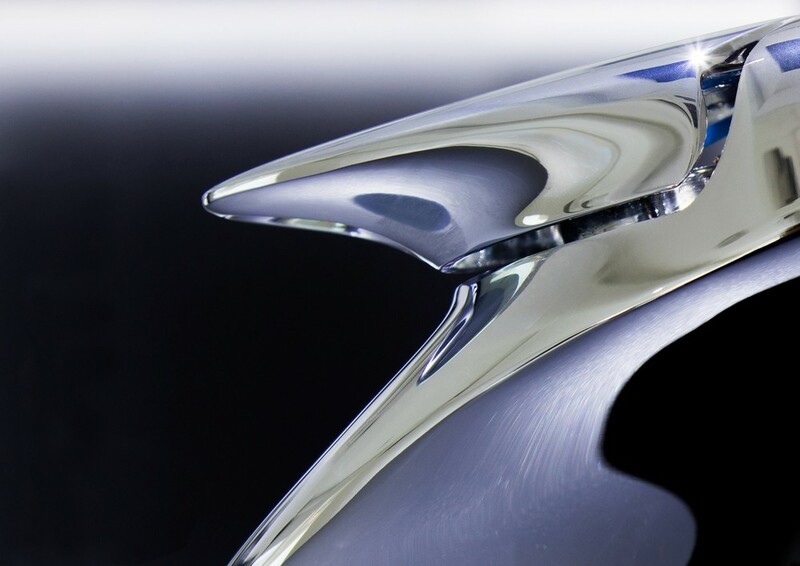 This new series features astounding elements that remind us of the spectacular designs created by Zaha Hadid. Fluid lines that evoke water flow are the leitmotif of this outstanding collection. For this reason it has been named Vitae (“life” in latin), because in water is where all sort of life begins. 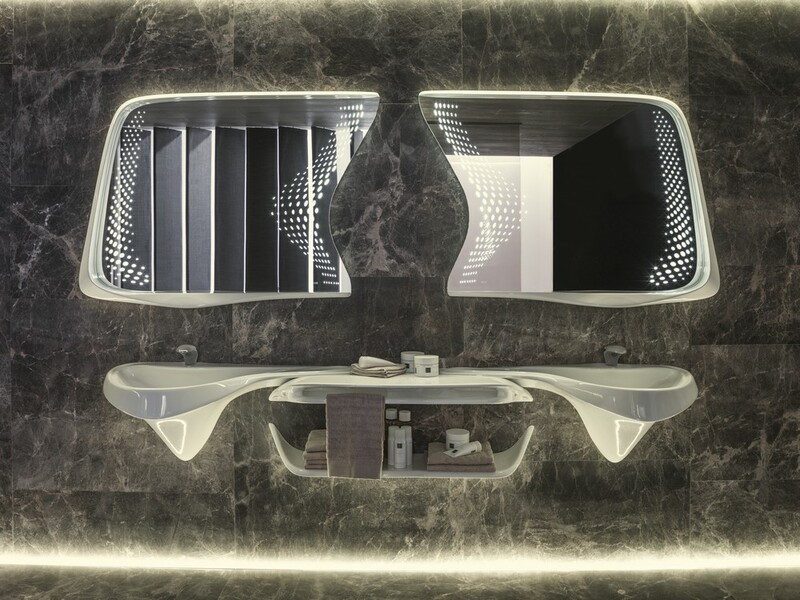 This is Vitae, a collection with incomparable designs that will stand for a revolutionary notion in the bathroom. 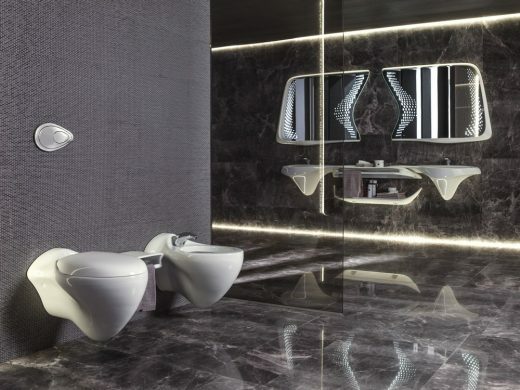 With more than 40 years’ experience, Porcelanosa Group works to its core values of innovation and quality in almost 100 countries worldwide. 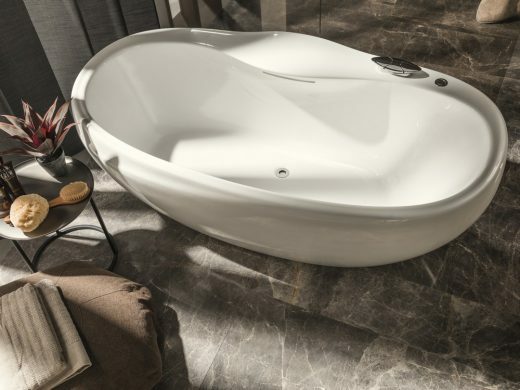 Starting with the production of ceramic tiles, product diversification has played a key role in Porcelanosa’s growth. Today, the group’s eight companies and 5,000 staff create the widest range of products that include kitchens and bathrooms as well as inventive solutions for contemporary architecture. Noken, a division of Porcelanosa Bathrooms, marries signature designs with unrivalled quality, craftsmanship and innovation. The Vitae Collection, a new bathroom concept by Zaha Hadid Design for Noken, has been informed by Hadid’s fluid architectural language; integrating each piece within the overall ensemble. 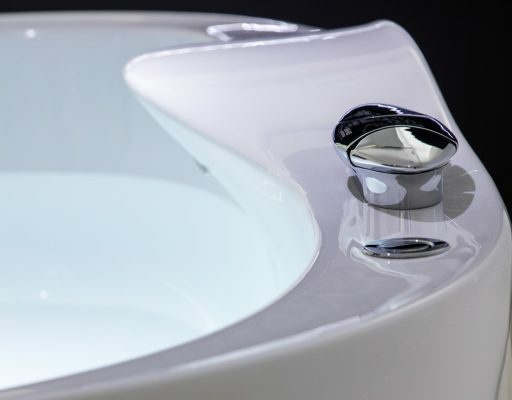 Shaped by functional and ergonomic considerations, the design is also dependent on the overriding formal language of fluidity. Integrating new academic and research facilities within a design defined by the existing built and natural environment of the college, the Investcorp Building maintains the detached character of the college’s existing buildings, allowing them to be read as separate elements. The design weaves through the restricted site at St Antony’s College while its stainless steel façade softly reflects natural light to echo the building’s context. The curved form of the library reading room’s western façade accommodates the century-old Sequoia tree and its extensive root network with a drainage system below the foundation slabs to ensure the tree receives enough moisture. 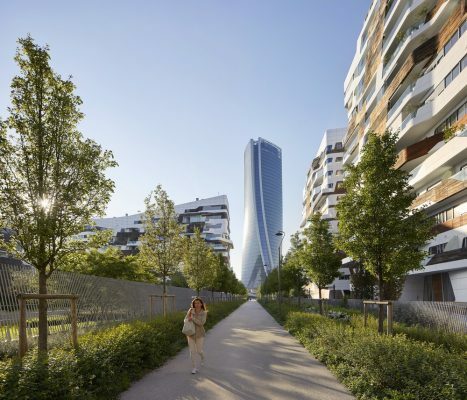 The FIABCI (International Real Estate Federation) Prix d’Excellence recognises projects that best embody excellence in the real estate disciplines, illustrating the ideals of ‘providing society with the optimal solution to its property needs’. The jury panel is comprised of top real estate professionals and experts and rewards projects not just on their aesthetics, functionality or size, but on overall merit. d’Leedon Singapore, designed and built for Capitaland, with 340 unique apartment layouts is the largest residential development in the city state. 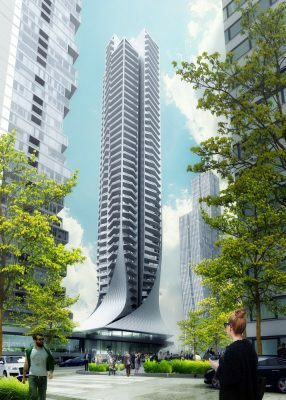 The petal-shaped floorplan for the 36 storey towers allows for windows on three sides of every apartment and natural ventilation in all kitchens and bathrooms. With varied geometries, the orientation and placement of the seven towers is optimized in response to environmental considerations. The site presented a number of constraints with two MRT underground tunnels and the primary water main supply to Singapore from Malaysia running directly beneath the site, together with strict setback regulations at the western edge of the site. 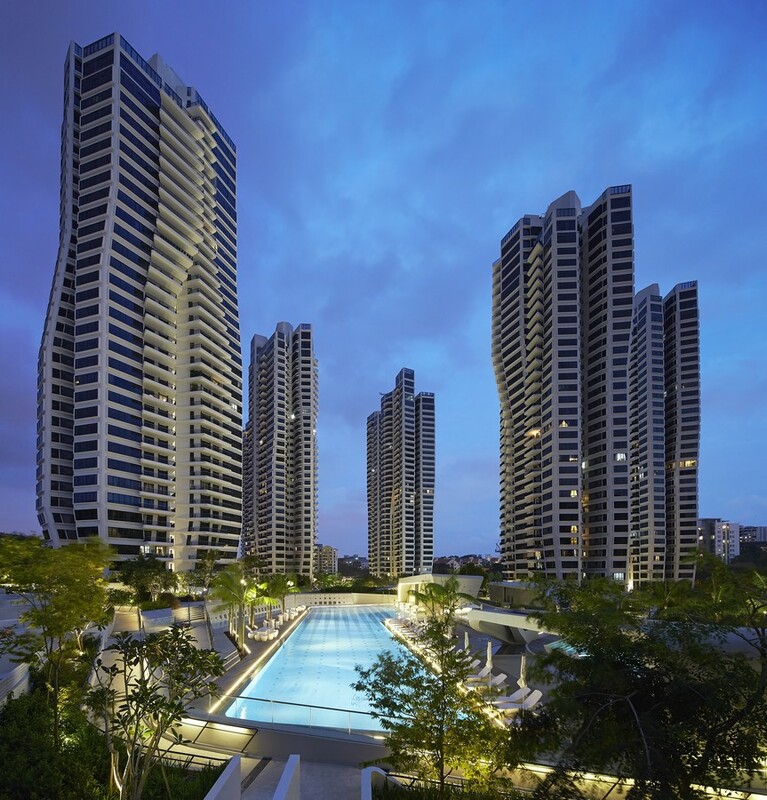 d’Leedon’s design turns these challenges of the site to the advantage for residents, embracing the concept of differentiation, where single apartments have been customized and specifically designed according to their location and position within the site, as well as the requirements of the residents. 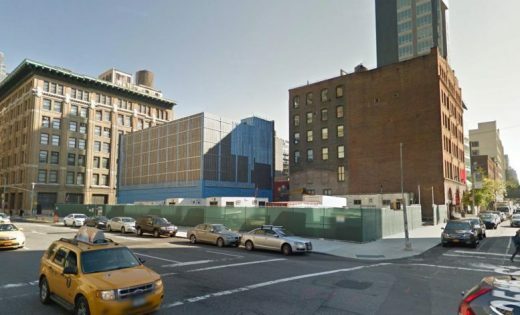 A mixed-use project, with condominiums and a space for a cultural institution. 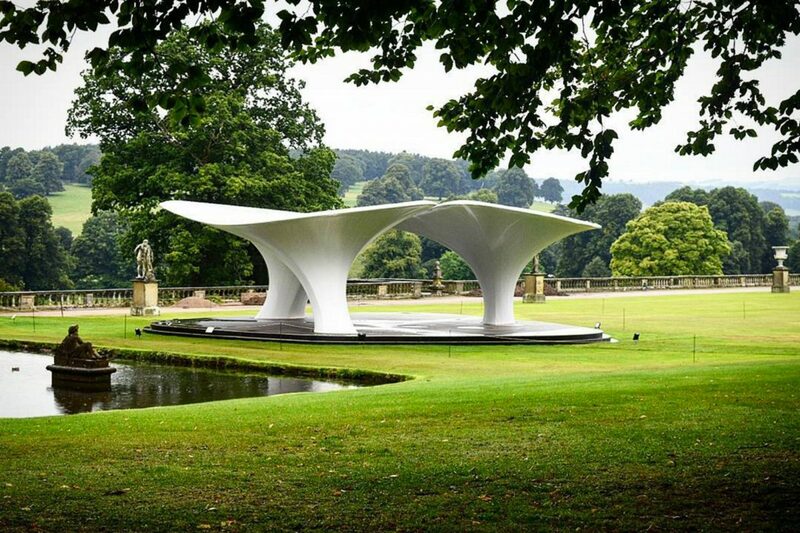 The project was one of the last that Zaha personally designed before she passed away earlier this year. The creation of a landmark ‘cultural quarter’ overlooking Bournemouth’s world-famous seafront is under way following the appointment of leading international designers Zaha Hadid Architects. Initial proposals for the site include designing a mix of cultural attractions and public space improvements complementing Bath Road and the Pavilion Theatre. 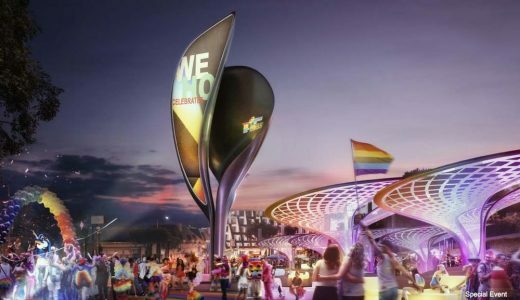 This could include a multi-use performance space, hotel and restaurants. West Hollywood is in the midst of reconsidering its policies toward billboards on the Sunset Strip—a stretch of street once known for its billboards—potentially adding new rules that would require future ads be more visually exciting, using lighting, three-dimensional elements, moving parts, and/or many other flashy accoutrements, reports curbed.com. In light of that, WeHo’s gotten the ball rolling by starting up a pilot project that would install a striking, temporary billboard at 8775 Sunset Boulevard, a city-owned parcel. To decide what would go on the spot, West Hollywood accepted nine proposals and chose four finalists, a press release for the program says. – JCDecaux and Zaha Hadid Project Management Ltd.
Five-bedroom penthouse home of 6,853 sqft with a 2,218 sqft terrace and two private balconies. The lower living level features an oversized, corner master suite complete with two large, windowed dressing rooms and two master baths. The work of the pioneering architect will receive an impromptu retrospective at the upcoming Architecture Biennale in Venice, the New York Times reports. Opening on May 28, the Biennale will host a 10-room exhibition at the Palazzo Franchetti . Financed by Fondazione Berengo, a Venetian glass-making foundation, the exhibition will celebrate the architect’s 35-year-long career, showcasing both unrealized and in-progress projects, including the Port House Headquarters in Antwerp, and an apartment building on the High Line (Hadid’s first New York project). The show will also highlight a circa-1985 proposal to transform Trafalgar Square in London. 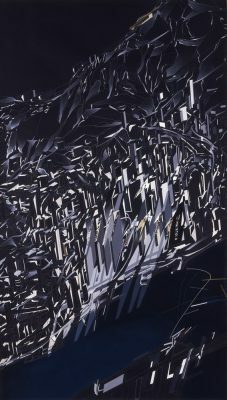 All of Zaha’s completed buildings will be shown, as well, via her own paintings, paper and 3D-printed models, drawings, photographs, and videos. According to the New York Times, discussion of the exhibition began in October 2015 when the architect designed vase-like sculptures (that are as-yet unproduced) for Fondazione Berengo’s glassmaking studio. She wanted to put on a small show that focused on the new technologies and computational design methods employed by her London-based firm. But after her death on March 31, the firm decided to pivot the show into an overview of her career. The Guggenheim Museum in New York ran a Hadid retrospective in 2006, as did the State Hermitage Museum in St. Petersburg, Russia, in 2015. An exhibition designed by ZHA for a major retrospective of artist Kurt Schwitters opens in Zurich in June. 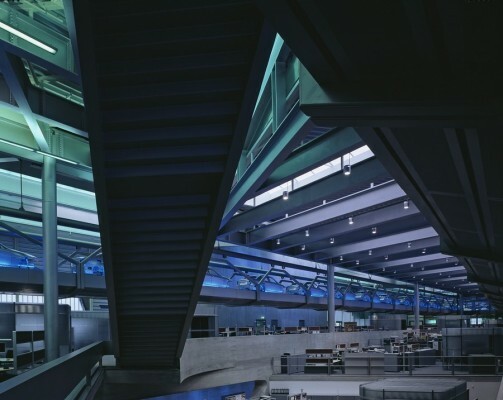 Heathrow names four architecture studios – including practices Zaha Hadid Architects, Grimshaw, HOK and Benoy – on shortlist for a ’hub airport of the future’ concept as part of its expansion plans, reports the Architect’s Journal. 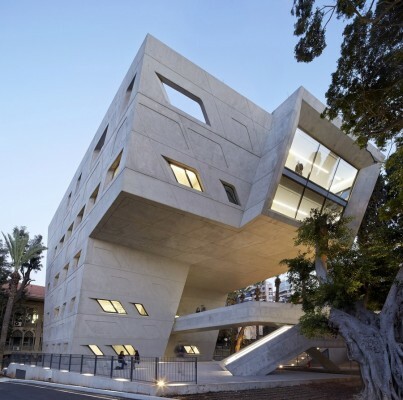 Issam Fares Institute, Beirut is one of the 19 shortlisted architectural projects for the 2016 Aga Khan Award for Architecture, selected from amongst 348 projects, will be competing for US$ 1 million in prize money. 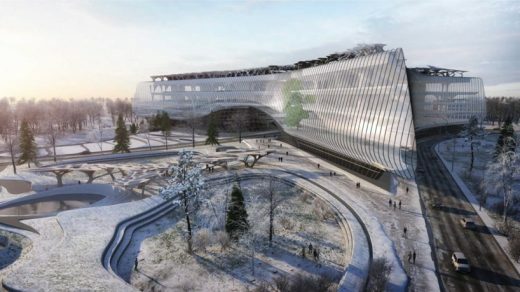 The results of the international competition to create the architectural concept for Sberbank’s technopark in Skolkovo Innovation Centre have been announced. Architect Zaha Hadid was born in 1950 in Baghdad, Iraq. Zaha Hadid Architects have confirmed that Dame Zaha Hadid, DBE died suddenly in Miami in the early hours of this morning. She had contracted bronchitis earlier this week and suffered a sudden heart attack while being treated in hospital. The Pritzker Family and the Pritzker Architecture Prize organization are deeply saddened by the passing of Dame Zaha Hadid. 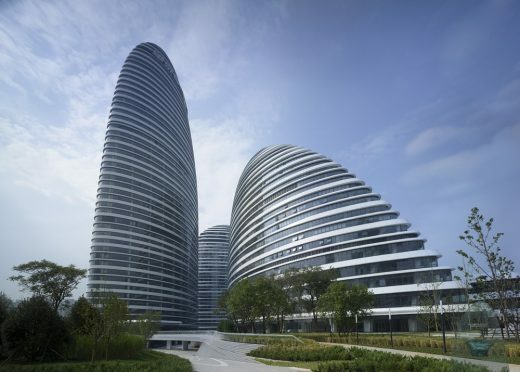 Hadid was the 2004 Pritzker Architecture Prize laureate, recognized for her extraordinary talent and prodigious artistic outpouring. She also served on the Pritzker Architecture Prize jury in 2012. The globally-renowned architect Dame Zaha Hadid receives the 2016 Royal Gold Medal for architecture, the first woman to be awarded the prestigious honour in her own right. She has become one of the most famous architects in the world. 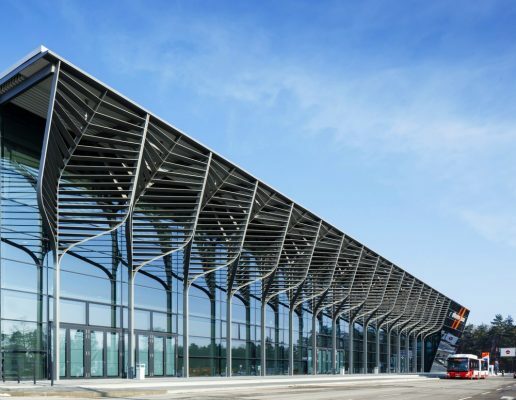 Buildings nominated for the prestigious Stirling Prize include Evelyn Grace Academy building (winner – 2011), MAXXI (2010), Nordpark Cable Railway Station (2008), Phaeno Science Centre (2006) and the BMW Central Building (2005). 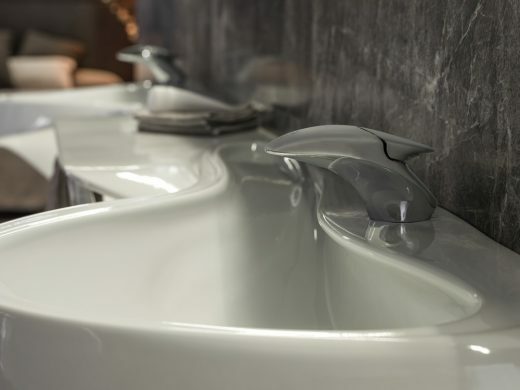 Zaha Hadid‘s style is boldly contemporary, organic and innovative. 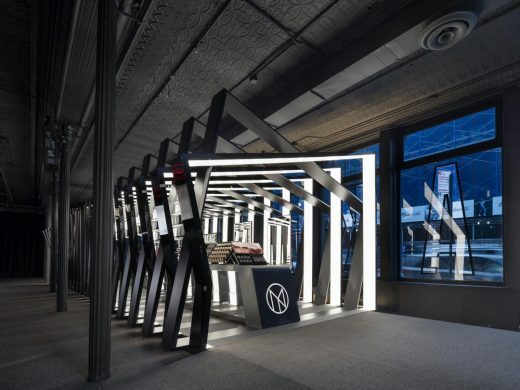 The architect pushes design through new technology and materials and never does ordinary. Besides creating architecture the architect is a celebrated painter, designer of furniture and interior products + fittings such as bowls and chandeliers. The China International Exchange Committee for Tall Buildings and the Council on Tall Buildings and Urban Habitat announce the award recipients for the inaugural CITAB-CTBUH 2016 China Tall Building Awards. With the support of the Architectural Society of China and the Architectural Society of China Shanghai, the first year of this regionally focused awards program was very successful, with numerous high-quality projects entering into the running under six categories of recognition. 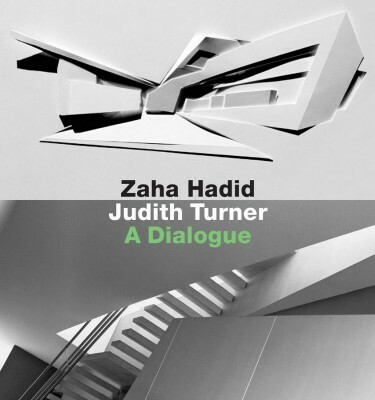 Featuring drawings of six early architectural works by Zaha Hadid and photographs by Judith Turner of the completed projects, with an essay by Joseph Giovannini and texts by Zaha Hadid and Judith Turner. “I don’t think that architecture is only about shelter, is only about a simple enclosure. 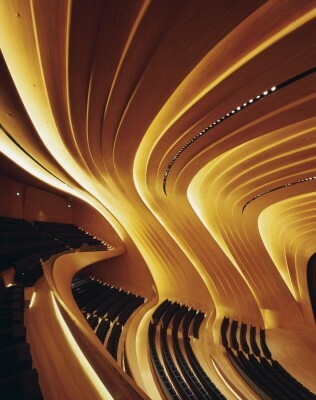 It should be able to excite you, to calm you, to make you think.” Zaha Hadid. “I use architecture as subject matter to create spare, ambiguous and abstract photographs that do not explain buildings, but rather interpret them.” Judith Turner. Internationally renowned for her revolutionary designs of buildings in premier cities worldwide, including Beijing, Abu Dhabi, Rome, and London, Zaha Hadid was the developers’ first choice for One Thousand Museum. “Miami has become a truly global city and we wanted to work with someone who has the vision to create an architectural icon that will capture its unique character,” said Birdman and Covin in a joint statement. The building design establishes a continuous, fluid relationship between its surrounding plaza and the building’s interior. The plaza, as the ground surface, accessible to all, rises to envelop an equally public interior and define a sequence of event spaces within. 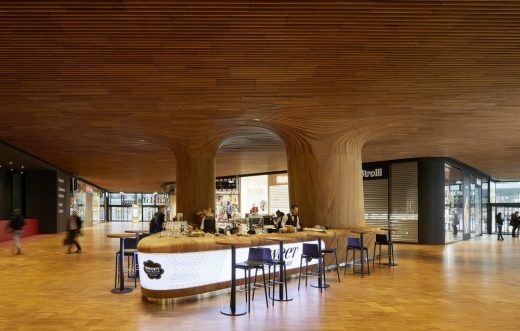 Undulations, folds, and inflections modify this surface to create an architectural landscape that performs a multitude of functions: welcoming, embracing, and directing visitors throughout the center; blurring the conventional differentiation between architecture and landscape, interior and exterior. 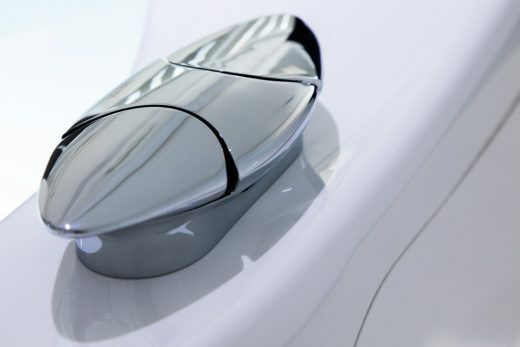 Previsouly Zaha has designed a boat, now she has designed a pair of yachts: a sculptural form of a master prototype conceived for a 128m yacht and five 90m yachts that explore the design philosophies of the master prototype. David Gill presents the next evolution of Zaha Hadid’s series of Liquid Glacial tables – unveiled at David Gill Galleries, St James’s, on October 15. The exhibition will run until 16 November. The latest building by ZHA – a combination of refurbishment and new-build, set right in the heart of one of London’s major parks. The extension contains a social space intended to enliven the venue. The curvaceous design is intended to complement the existing classical building, located in the heart of one of London’s largest parks. 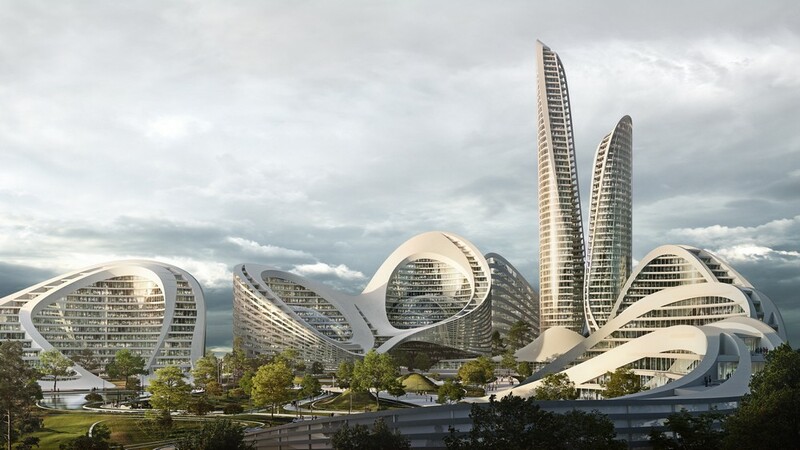 ZHA was selected over of 45 other international architecture practices for the US $1.62bn development at the end of 2012. Architect Tadao Ando chaired the jury which included architects Norman Foster and Richard Rogers. This large organic building by Zaha Hadid Architects has been shortlisted for the Lubetkin Prize by the Royal Institute of British Architects. Named in honour of Berthold Lubetkin who established the influential Tecton Group in London during the 1930’s, the Lubetkin Prize is awarded to the architect of the year’s best RIBA International Award winning building. Development Marks First Project in New York City for Internationally Acclaimed UK Architect. 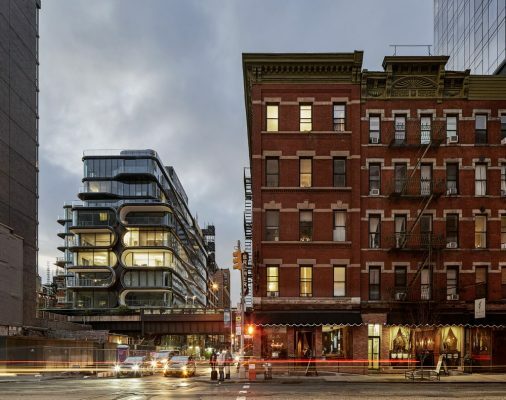 Related Companies, New York’s premier residential developer, today announced that it has commissioned world renowned Zaha Hadid Architects to design a boutique condominium adjacent to the High Line at 520 West 28th Street in Chelsea just south of Hudson Yards. 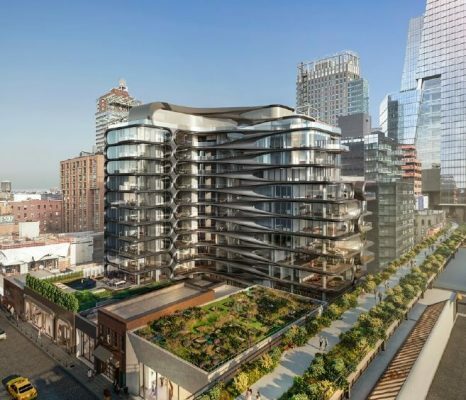 The 11 – story residential development will mark Hadid’s first commission in New York City. Swarovski has commissioned Zaha Hadid to create a celebratory installation marking the completion twenty years ago of her first major built project, the Fire Station at Vitra Campus, Weil am Rhein, Germany. The installation, entitled Prima, is an angular piece made from five highly polished components that can be moved into different configurations. It will be installed in front of the Fire Station, reflecting and honouring the design process of the building. 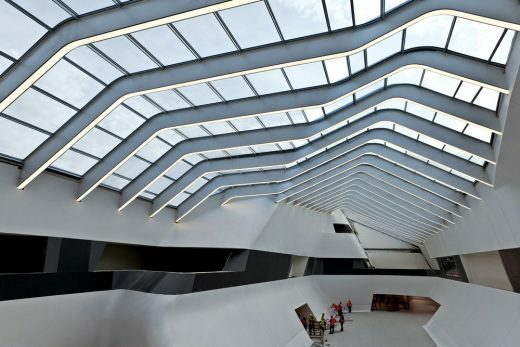 20 May 2013 – The Riverside Museum Glasgow by Zaha Hadid Architects has won the European Museum of the Year Award (EMYA) at ceremony in Tongeren, Belgium. Forty Museums from 21 countries across Europe entered this year’s awards. The European Museum of the Year Award by the European Museum Forum was founded in 1977 under the auspices of the Council of Europe, with the aim of recognising excellence and encouraging innovative processes in a museum world. 22 Apr 2013 – architect Zaha Hadid is the winner of the 2013 Veuve Clicquot Business Woman Award. 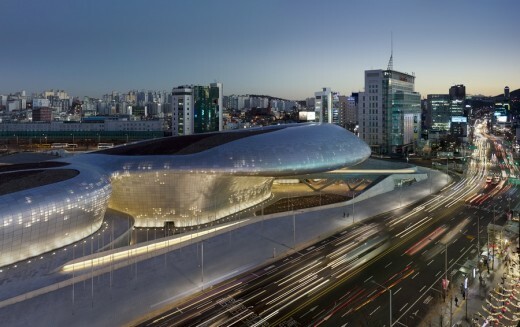 The designer is known for her futuristic designs, which include the London Aquatics Centre and Guangzhou Opera House. She was presented the honour during a ceremony held at Claridge’s tonight. The annual event celebrates the success of businesswomen worldwide, who share the same enterprising, determined spirit of Madame Clicquot – who, after becoming widowed at the age of 27, took on her husband’s wine business and developed one of the first forms of Champagne. Ground breaking news – the building includes a grand theatre, a contemporary art museum and supporting facilities. 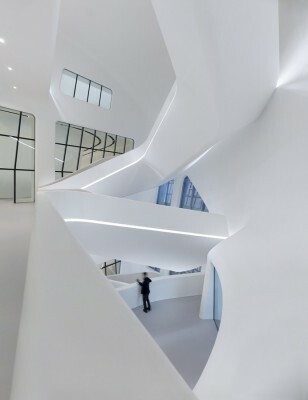 The building composition is based around ‘three fluid petals’ and is beautifully flowing. The Mayor of London has appointed a team of experts to develop the plans for addressing the UK’s aviation crisis. He wishes to see the fastest possible resolution to the debate on where to build a multi runway hub airport. Compiled by BBC Radio 4’s ‘Woman’s Hour’, the Power List recognizes women who have the ‘greatest influence and ability to change the way we live our lives in the UK today’. Hadid is the only architect feaured on the list which includes the Queen (1st place), JK Rowling, Stella McCartney, Adele and Camila Batmanghelidjh. Arzu is a model of social entrepreneurship to help Afghan women weavers and their families by sourcing and selling the rugs they weave. This year’s Gulf Business Power 100 listed Hadid as one of the world’s most powerful Arabs in real estate. The Middle East Centre of St. Antony’s College is the University of Oxford’s centre for interdisciplinary study of the Modern Middle East. The centre was founded in 1957 and it is focused on research on humanities and social sciences with a wide reference to the Arab World and its geographic adjacencies. 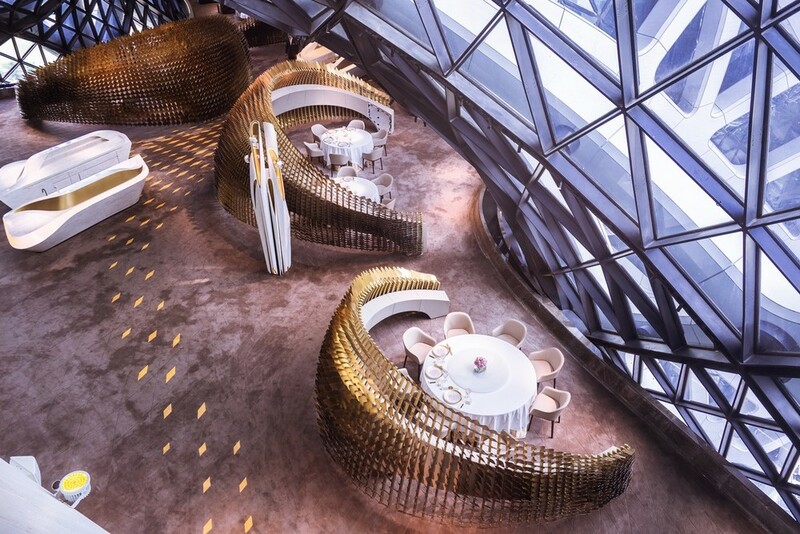 The Liquid Glacial Table and Galaxy SOHO in Beijing have been nominated for the 2013 Designs of the Year Awards. The awards showcase the most innovative and imaginative designs from around the world over the past year. ZHA’s nominated projects will be included in the ‘Designs of the Year’ exhibition at the Design Museum, London from 20 Mar 2013. Category winners and the overall winner will be announced on 17 Apr 2013. 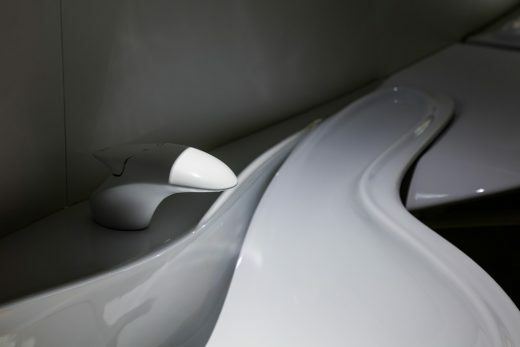 The Z-Boat by Zaha Hadid was named overall winner of the inaugural VeryFirstTo Awards in London on 9 Jan. The jury that selected the Z-Boat included Giles Deacon, Sir John Hegarty, Joan Burstein CBE and Poppy Delevingne. This building design is typical of the current style by the architect – swirling forms with striations creating rhythm and dynamic energy. The criticism of many signature architects -such as Frank Gehry or Norman Foster – often revolves around whether projects are unique to their context or just another design off the production line. With such a huge amount of work it will be a major challenge for the architects to keep design fresh and specific to context. 4 Jan 2013 – Chongqing architect accused of copying the architect’s Beijing building, the Meiquan 22nd Century building planned for Chongqing. 20 Dec 2012 – news circulated in last few days re a condo tower at 1000 Biscayne Boulevard, Miami, Florida, USA – design to be unveiled early 2013 – her first skyscraper in the west. The site for the building is currently occupied by a BP Station. The investment group funding 1000 Biscayne Tower is led by Florida developers Gregg Covin and Louis Birdman. The architect owns a double condo at the W Hotel on Miami Beach. She recently designed the Collins Park Garage in Miami, approved for construction Nov 2012 by the Miami Beach Historic Preservation Board. The final piece of outer shell from the temporary seating stands at the Aquatics Centre has now been removed. This is very welcome as the building is so much more elegant without it. 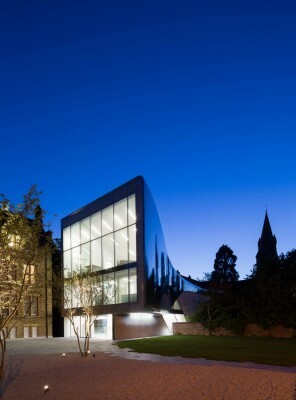 This striking building features a pleated stainless steel and glass façade, with a steeply sloping end elevation. It will include a collection of more than 7,500 objects. 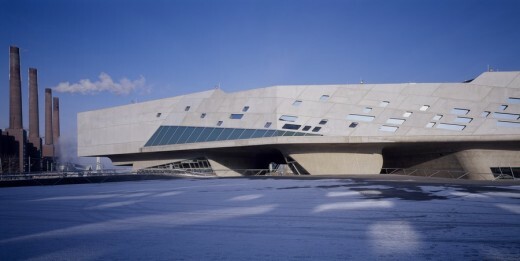 The building – which looks shark-like in the photo above – features galleries for modern and contemporary art, special exhibitions, photography, new media and works on paper. 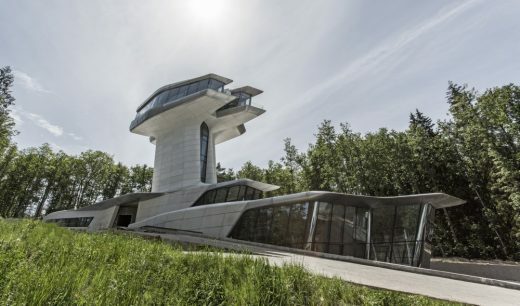 This is a futuristic home for Russian billionaire Vladislav Doronin and his girlfriend Supermodel Naomi Campbell. Zaha was asked to design the residence to look like a spaceship. The extraordinary home design features a tower that pushes high to gain good views. This unusual residence has an area of 2,650 sqm and is located Barvikha. 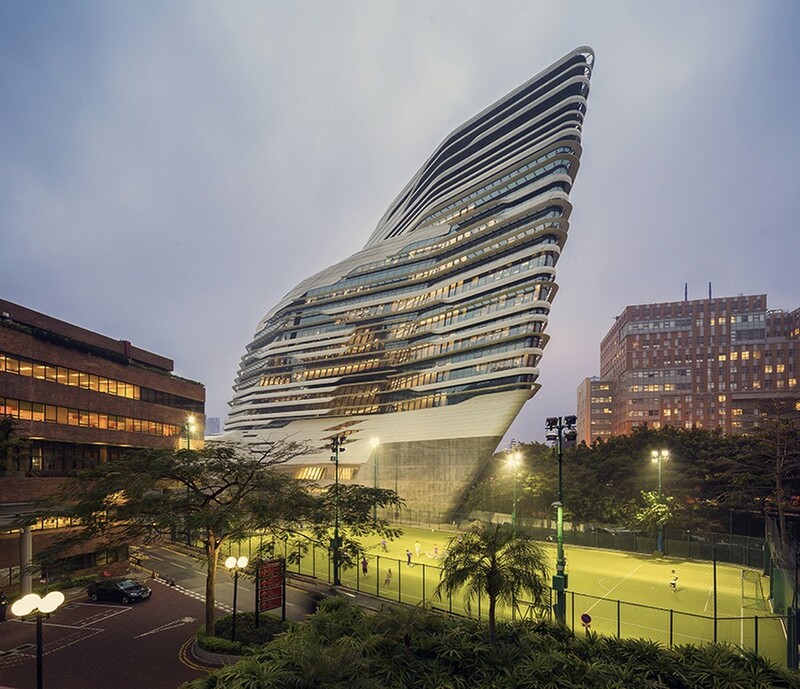 The Hong Kong Polytechnic University (PolyU) has topped out of the Jockey Club Innovation Tower on its campus. The 15-storey tower will become the new home for the PolyU School of Design and the newly established Jockey Club Design Institute for Social Innovation. The new building will be 76m high. The most important building by Zaha Hadid since the Guangzhou Opera House. The architecture is on a massive scale, but more importantly it is designed with almost no compromise, a huge example of the architect pushing her dynamic style to limits other architects can’t reach. The Biennale theme for 2012 shows how the work of the key contemporary architects – often regarded as independent – is in fact based on historical lineages of collective research. This is also true of the work of ZHA. 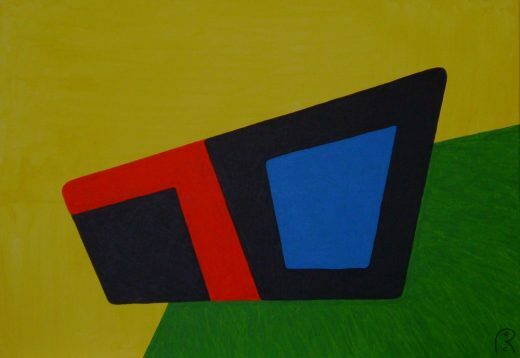 It is well known that early work of the architects was initially inspired by Russian Suprematism. Roca London Gallery wins 2012 Design Week award recognizing excellence and innovation in design. The architect’s inspiration was elemental water in all its forms and the result is a spectacular and influential space in the heart of London‟s Chelsea Harbour. Zaha Hadid architect awarded the Jane Drew Prize for her outstanding contribution to the status of women in architecture. 5 May 2012 – Riverside Museum, Glasgow, is named the most innovative museum in the fields of technology, labour and social history by the European Museum Academy. Riverside competed against museums in 12 other European countries to win the 17th annual Micheletti Award. Zaha, and U.S. Supreme Court Justice Stephen Breyer, will join the jury that selects Pritzker Architecture Prize Laureates. MAXXI Rome : Italy’s first national museum of contemporary art and its first national museum of architecture. Criticised by critic Ellis Woodman for placing form over function. The MAXXI building is not a new design direction for the practice, it is indeed a major project for the studio, but not a pivotal one in terms of programme or style. The architecture is undeniably powerful and dynamic but like many recent ‘containers for art’ – such as the stunning ‘UFO’ building in Graz by architects Cook / Fournier – there exists tension between form and function, between expressive exterior and an interior which its owners will want to function in a certain way. The architect, 61, grew up in Iraq before leaving at the age of 17 to study abroad. After working with OMA she set up her architecture practice in London in 1980.